Prince Albert residents Robert (left) and Solange (right) Samson are set to celebrate their 70th anniversary this Sunday. 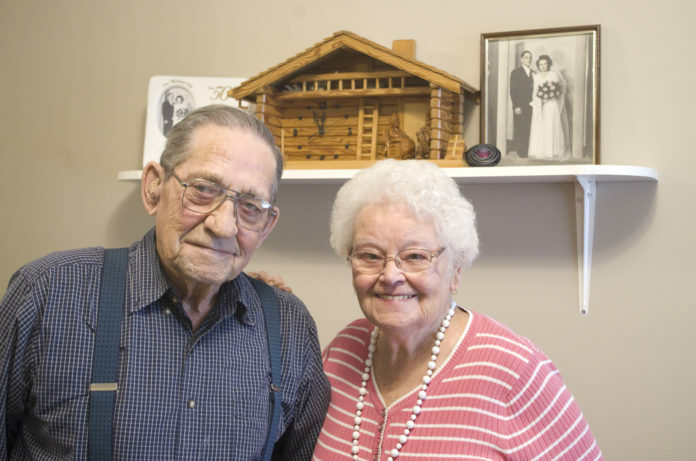 The couple said humility and the ability to get along helped them through the last 70 years. © Herald photo by Jason Kerr. Tuesday’s snowfall was a fitting forerunner to Robert and Solange Samson’s upcoming wedding anniversary. After all, it was snowing on Oct. 12, 1946, the day they were married in La Broquerie, Man. The couple is set to celebrate that milestone for the 70th time this year, along with friends and family. It’s been a long journey for them, but thankfully it’s been a successful one. 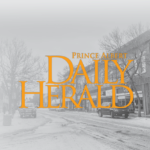 For most of those 70 years, Robert and Solange farmed northeast of Prince Albert, just outside the community of Albertville. The also raised six kids, and although they’re proud of their marriage, they take even more pride in the family they raised. It’s a compliment their children are happy to return.